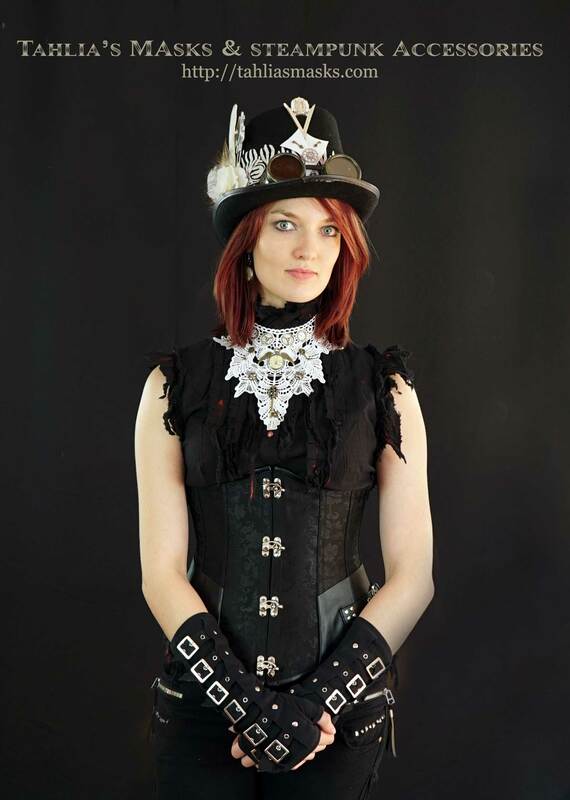 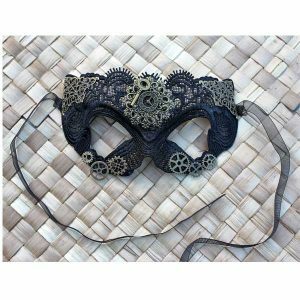 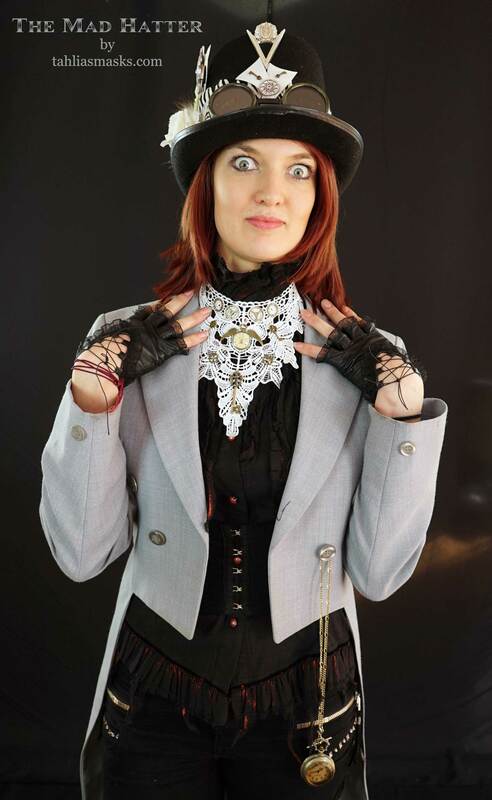 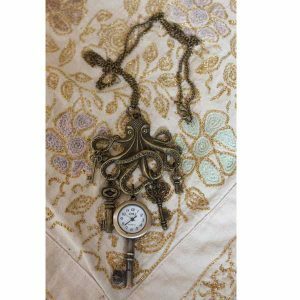 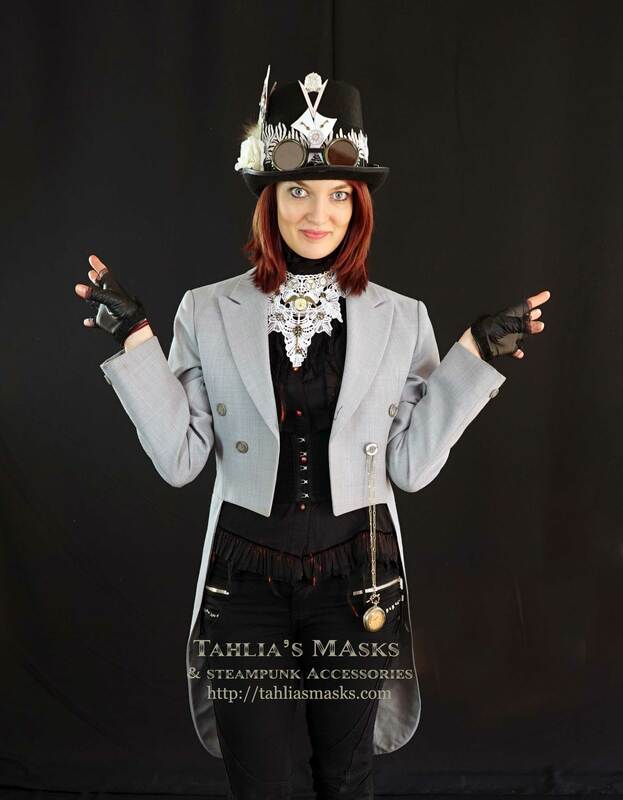 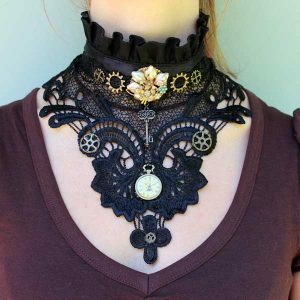 This Steampunk Gothic lace necklace goes perfectly with any Gothic or steampunk outfit. 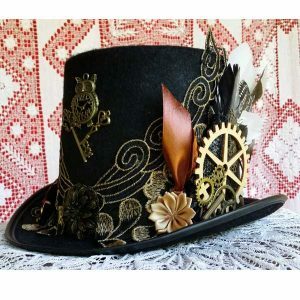 Or wear it with jeans and a t-shirt for a specially unique touch. 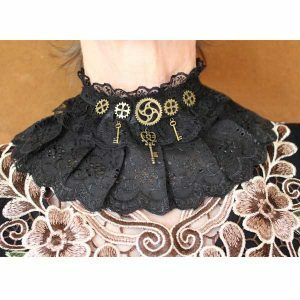 It does up with a press stud and has two settings so it can be worn higher or lower on the neck. 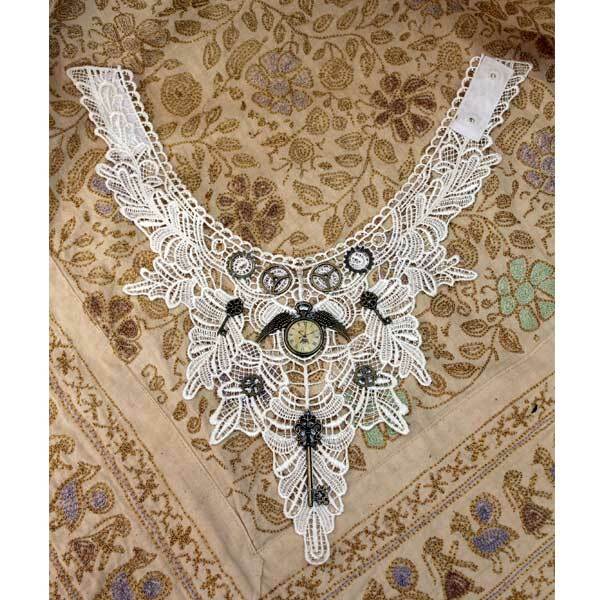 Made from lace and brass charms.